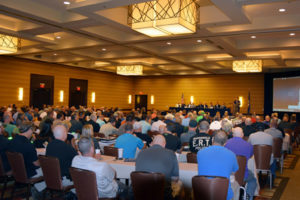 The Kentucky Narcotic Officers’ Association Training Conference will be held September 5-6-7, 2018 at the Hyatt Regency Hotel once again in Louisville. We will also have an intelligence sharing meeting once again facilitated by Mike Brackett, JCSO, Matt Gelhausen (LMPD) and Steve Wright, (ROCIC). We encourage you to share intel that may be helpful to your case and others present (LE Only). Joe Rannazzisi retired DEA, as seen on “60 Minutes” Big Pharma Lobbying and its effects. Joseph T. Rannazzisi retired from the United States Drug Enforcement Administration (DEA) on October 31, 2015 after serving over 29 years in law enforcement. From June 2005 until retirement, he held the position of Deputy Assistant Administrator of the DEA Office of Diversion Control. Mr. Rannazzisi is a nationally recognized speaker and instructor, provided training concerning illicit drugs, pharmaceuticals, pharmaceutical control, corresponding responsibility, security, chemicals, synthetic drugs and clandestine laboratories. This presentation provides a historical analysis of the opioid epidemic from the 1980s through present. Using pharmaceutical diversion as a foundation, the presenter will explain the evolution of the trafficking and abuse of prescription opioids and the predictable transition to heroin, fentanyl and opioid analogues. The presenter will discuss the increase in opioid prescribing over the last two decades and the corresponding increase in addiction, overdose and death; the failures within the drug supply chain and healthcare delivery system that fueled the opioid epidemic; and the inadequate response by executive branch agencies to hold DEA registrants accountable for violations that led to pharmaceutical diversion. Finally, the presenter will discuss the impact of the Washington Post and 60 Minutes investigative reporting that exposed how corporate/lobbying influence secured legislation to limit the ability of the Drug Enforcement Administration to regulate the pharmaceutical industry. Mick Mollica is a 30 year veteran in law enforcement, serving 9 years as a police officer and 21 years as a Special Agent /Supervisor for the California Department of Justice, Bureau of Narcotics Enforcement. Mr. Mollica is past president and CEO of LEARN Associates Inc, a company that specializes in drug law enforcement training. He has a highly developed expertise in law enforcement training, having provided training and expertise to over 45,000 students throughout the United States, Central America, Soviet Union and Europe. He is a consultant and contractor for the Department of Defense, California Peace Officers Standards and Training, Bureau of Justice Assistance, Crime Prevention, COPS program and the National Criminal Justice Training Center, WI. He is considered to be, and is utilized as, an expert in narcotic investigations and substance abuse training. He is also a long time member of our sister organization the California Narcotic Officers’ Association. He will provide an 8 hour block of training: Synthetic Opioid-Fentanyl Processing that should be KLEC Certified next month. While this may seem like a dry subject several officers that have attended said it was very informative for your safety but also presented in a manner that was entertaining and humorous at times. Course Description: Tablets, liquids, capsules and powders may contain synthetic opioids such as fentanyl, which are extremely deadly to officers.